The beauty of the sea, with its blue waters reflecting blue skies and the glistening warm sand, has some hidden dangers. The wide waters of the ocean can be very unpredictable. In Cornish beaches, lifeguards do patrols to keep beachgoers safe while swimming and surfing. However, there is another danger to visitors in Cornwall that many do not realize. 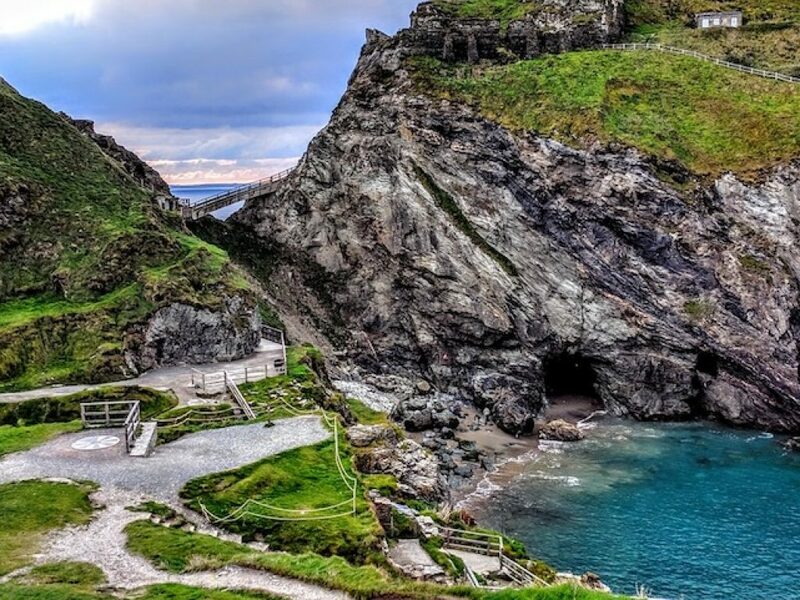 Those rugged and picturesque cliffs are truly awe-inspiring, and one of the highlights of a trip to Cornwall is to do a walk overlooking the sea. However, many people get involved in accidents because they do not take precautions while walking, which is why you should take note of these tips to keep you safe at all times. This guide was first published by local holiday company Harbour Holidays which devised these tips to educate their visitors about the hidden dangers of walking the cliff path in Cornwall. Like us, they think coastal hiking in Cornwall is a must-do activity for all holidaymakers and want to make sure safety is always at the forefront of their minds when exploring the cliffs, coves and caves. The cliffs might look like they are made of solid rock, and therefore, stable, but this is not always the case. Some try to go close to the edge and slip due to loose rocks and unstable ground. Worse, some of these edges are actually overhanging, which makes them even more dangerous. This is unfortunately not within your line of sight, so the best thing to do is to just avoid going too close to the edge. If you are traveling with children or dogs, it is important to keep them close at all times. There is a risk of them wandering away and getting too close to the edge. Dogs might be entranced by the seagulls and might try chasing them, and kids might simply walk away from parents. Both situations are highly dangerous and proper precautions (a dog leash, for example) can help prevent untoward accidents. Even if you stay away from the cliff edges, some risks are taken simply by taking a difficult path. Some attempt to reach the beach, going up and down the cliff. While there are paths created for this purpose, it might still be too strenuous and steep for some. By not wearing the right hiking shoes or simply by attempting too much, you might end up with a sprained ankle at the very least. Worse, you might get stranded and if you are in a secluded path, no one might come easily to your rescue. So if you encounter a path that is too difficult, turn back and make sure to stick to purpose-built paths at all times. Bring a phone to be able to call for help in case of emergency. Last but not the least, make sure you are wearing appropriate clothing to ensure that you will not get frostbitten (in winter) or encounter heatstroke (during summer). Bring water and snacks to keep you hydrated and to give you energy. When planning to take a walk, let someone know when and where you are going. Because phone reception might be bad in these areas, you might not always have a way to call for help. If you do not show up a few hours after your scheduled arrival, someone can alert the authorities. Take only the specified paths as they are the safest. Even if you are an experienced hiker, do not take any risks due to possible hidden dangers. When crossing the beach, make sure you take note of when the tide comes in so that you will not get stuck. Do your research on the path before deciding to go, especially to know how difficult it is. Also see this safety message from the HM Coastguards. Accidents will only ruin your holiday, so maximize your fun and minimize risks by putting these tips into mind when walking along the cliffs of Cornwall.